Design pocket folder for presentations and proposals. Buyers of commercial and industrial construction services. 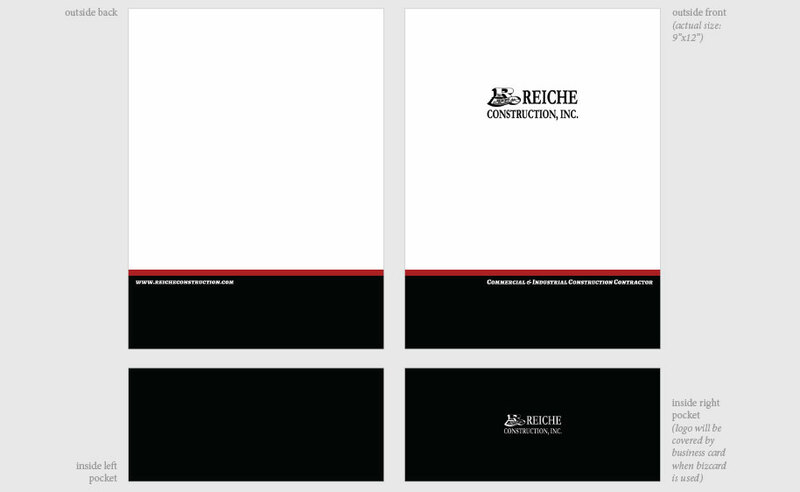 Cedarock designed and printed this pocket folder using a design that is consistent with the website and business cards we previously designed for Reiche.